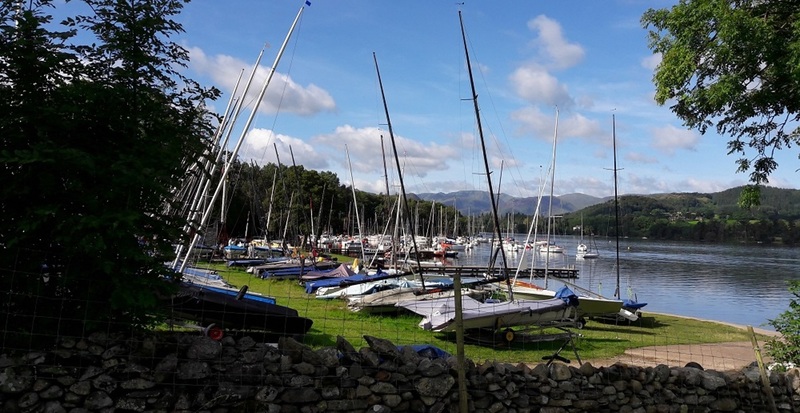 The club site enjoys spectacular views across the lake and offers modern changing and shower facilities, toilets with disabled access, a main club and lecture room and licensed bar. Full professional catering facilities are available every weekend and also during events and holidays. The club season is from mid March until the end of October. An extensive racing programme is available to all members throughout the season. Every weekend class and handicap racing is organised with a junior series for the younger members. Many national open events are hosted including the iconic Lord Birkett Memorial Trophy which attracts more than 200 boats every year. The club also welcomes visiting classes to the club who like to combine racing with socialising in a beautiful setting. The types of boats sailed at the club range from the modern fast sailing dinghies, including the 49er and 29er to the VX One, International Tempest and Flying Fifteen racing keelboats, the ever popular single-handed Laser and racing cruisers (up to 25ft overall) along with the slower family dinghies and cruisers as well as Topper racing for Juniors. All club members are encouraged to take part in club sailing activities, racing or cruising. Racing is organised with safety boat cover on Saturdays, Sundays and also Wednesday evenings, with class and handicap fleets, catering for both adults and junior. There is also a POETS (Push Off Early Tomorrow's Saturday) cruiser racing series on Friday afternoon. During the school summer holidays there is a five-day Sail Camp for our junior members, organised and managed by club members. Social events take place throughout the season - meals, barbecues, discos, entertainment, training and lectures. Camping for tents is free at UYC . Overnight parking is also free for campervans but only on certain dates which are listed in the club programme. Caravans are not allowed on the club site. * Alfred Wainwright described Ullswater as 'that loveliest of lakes, curving gracefully into the far distance'.